“The President likely to declare the ‘queen’ variety pineapple of Tripura as the state fruit, said the Agriculture Department official. Tripura Chief Minister Biplab Kumar Deb on Sunday for the first time flagged-off the export of “Queen” variety pineapples, known for being juicy and sweet, to Dubai. The consignment was sent on a SpiceJet aircraft via New Delhi. 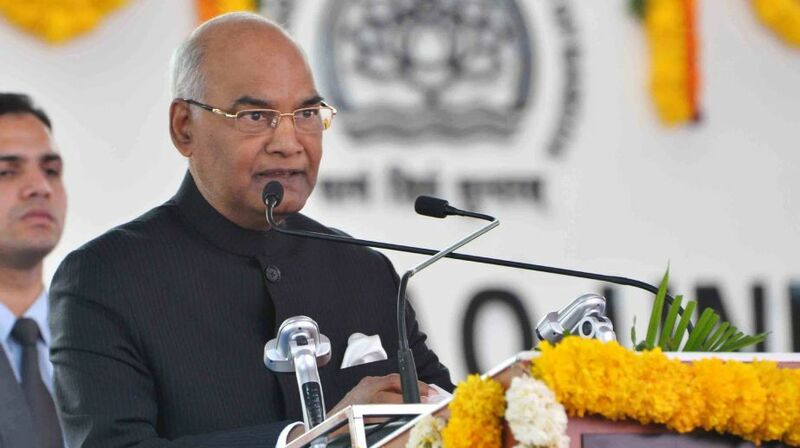 “Kovind tomorrow (Thursday) is also likely to dedicate a portion of National Highway (NH8) to the people. The National Highway, connecting Tripura with the rest of the country via Assam and Meghalaya, has been extended up to southern Tripura’s border town Sabroom,” the official added. Kovind, accompanied by his wife Savita Kovind. would offer puja at the Tripura Sundari Temple at Udaipur. The 517-years-old temple is one of the 51 holiest ‘Shaktipeeths’ (shrine of the goddess of power) in India as per Hindu mythology. The President would also address a civic reception here on Thursday. Violating normal practice, the reception being organised by the Tripura government instead of the Agartala Municipal Corporation. The opposition Congress has criticised the Bharatiya Janata Party-led alliance government for “unilaterally holding the civic reception programme violating the normal practice”. “By ignoring the CPI-M (Communist Party of India-Marxist) led Left Front run Agartala Municipal Corporation, the BJP government is doing party politics in holding the civic reception in honour of the President,” Tripura Congress Vice-President Tapas Dey told the media.